Due to popular demand, a televised simulcast will be held in Faye Spanos Concert Hall at the corner of Pacific Ave. and Dave Brubeck Way. Tickets for the simulcast of this sold-out event will be available for purchase at the Pacific Box Office. $15 (209.946.2UOP) or http://go.Pacific.edu/Tickets. 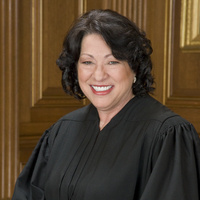 Supreme Court Justice Sonia Sotomayor will be the keynote speaker for the Advancing Women’s Leadership forum at University of the Pacific’s Alex G. Spanos Center. Actress, model, snowboarder and 2014 Paralympic bronze medalist Amy Purdy and Stockton native and Pacific alumna Connie Rishwain, who announced in April that she was stepping down as president of UGG and Fashion and Lifestyle Brands after 20 years with the company, are scheduled as the two other speakers for the event. The forum on Advancing Women’s Leadership brings together diverse and esteemed thought leaders from the local and national stages to inspire participants, especially young women, to make a lasting, positive and powerful impact in the communities where they live and work. A limited number of general admission tickets will go on sale beginning August 24. You may need to set up an account through the event center because a credit card is required to purchase. How can the University of Pacific McGeorge law students get tickets to this event? I know many of us are very excited about it but the event is password protected. Will we be receiving an email to notify us of how to get tickets?